Automatically downloads and installs the print driver (PostScript/PCL5). Microsoft WHQL certified. Recommended Upgrade: This upgrade corrects a problem that could allow the printer to generate a 391,535 Right Jetstack Over-temperature Detected Error. These devices should be flashed with the file 8570-8870_SetPH-NVM.ps and will take about 10 seconds to update. 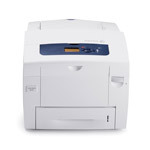 Note: The machine will provide output when the upgrade is complete in the form of a printed document.